Abstract: Hydrodeoxygenation of biorefinery lignin‐rich wastes to jet fuel hydrocarbons offers a significant opportunity for enhancing the overall operational efficiency, carbon conversion efficiency, economic viability, and sustainability of biofuels production. However, these wastes usually mainly contain lignin with sugars, furans, and their derivatives as “impurities”. 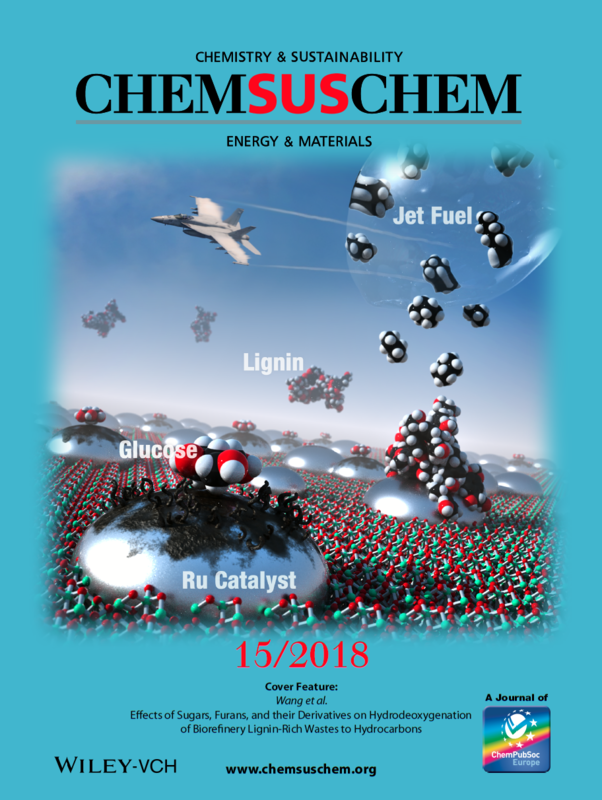 Although several factors, including reactant structure, solvents, or the decreased ratio of catalyst to reactant, could be responsible for the jet fuel hydrocarbons yield loss, we found evidence that glucose, xylose, and 5‐hydroxymethylfurfural dramatically decreased conversion yields. For example, xylose and glucose lowered the final hydrocarbon yield by 78 and 63 %, respectively. The results revealed that these compounds could suppress metal catalysts and inhibit lignin depolymerization and hydrodeoxygenation (HDO) reactions thus decrease yields of jet fuel range hydrocarbons from biomass‐derived lignin. The first‐principles calculations and TGA results from spent catalysts validated these findings.